As I keep moving my email over to Google G Suite I keep finding quirks in its setup and administration. One of these are the temporary emails that Google sets up on a test domain for initial testing purposes. These are all well and good but eventually you do want to get rid of them, here's how. This is what I'm talking about...In the Admin console, under Users, in the Account section for the primary user there are a number of aliases set up for testing. These are all on the *.test-google-a.com domain. The number of test emails varies on the number of other aliases you may already have and does cause lots of clutter. So lets see how to get rid of them. In the Admin console, go to Domains (or More Controls, then Domains if you haven't added Domains to the dashboard yet). From there click Add/remove domains. You will then see your primary domain and a test domain that ends in *.test-google-a.com. 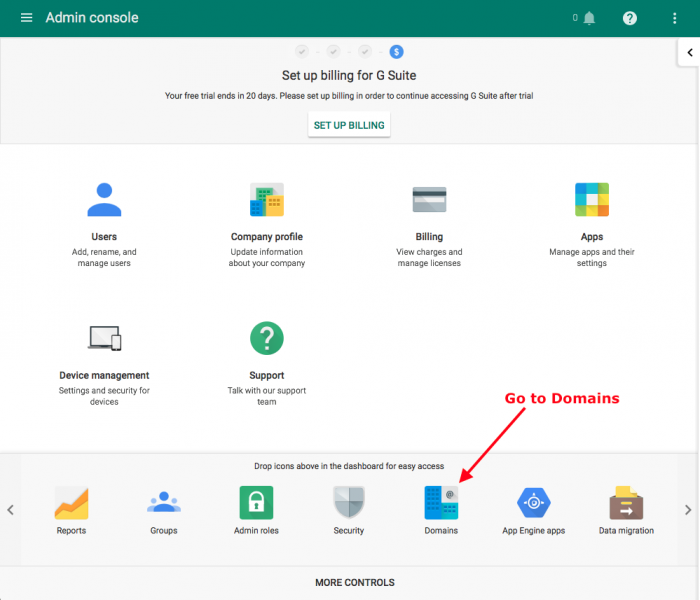 Click Deactivate next to the test domain alias. A confirmation will pop up, if you're sure you want to do this, click Remove. Now if you go back to the Accounts section for your primary user, all the test emails aliases will be gone! If you haven't signed up yet, Google G Suite is definitely worth it. The first month is free and then it's only $5 per user and gives you unlimited storage space and if you have multiple domains you can set these up as aliases for free. I'll be covering that in another article though.